When it comes to buying a car, one of the first details a consumer will look at is the vehicle safety ratings of the make and model. By law, every vehicle on the U.S market must meet certain safety standards set by the federal government. However, many manufacturers often issue recalls to vehicle owners to help correct design flaws with their vehicles that could potentially cause a serious accident. In fact, the number of recalls has increased significantly over the past decade as automakers continue to share parts and use the same offsite part manufacturers. Have you been injured in a collision that you believe was caused by a vehicle defect or faulty part? Are you aware that you may be able to file a damage lawsuit that claims financial compensation for any losses or injuries that you may have experienced due to a vehicle defect? At the law offices of Harbin & Burnett, our team of highly trained accident injury attorneys have detailed knowledge of the auto accident and defect laws in South Carolina and can help to fight for the MAXIMUM compensation amount that you may be entitled to receive. To learn more about your legal options, fill out the Free Case Evaluation form to your right to contact our South Carolina car accident law firm its completely confidential. 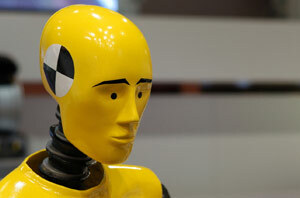 Frontal Crash Test Vehicles are crashed into a fixed barrier at 35 miles per hour. Side Barrier Crash Test Represents a t-bone/side-impact crash at 38 miles per hour. Side Pole Crash Test Represents a side-impact crash involving a fixed-object like a utility pole or tree. The tests will measure the force of impact to the crash test dummies body regions including the chest, abdomen, head and pelvis. Typically, the tests will involve an average-sized male and small-sized female crash dummy; most recently the NHTSA proposed using a dummy in future testing that would be the size of a three-year-old toddler. After testing is completed, the ratings are combined, the probability of injury is weighted and then combined as well to assign a final crash rating. Additionally, the NHTSA performs rollover tests to determine how stable a vehicle is. Based on a scale of one to five, a vehicle will be given stars for how well it protects the driver and affected passenger. The majority of vehicles will receive at least three stars. If youre interested in learning more about NHTSA ratings, visit safercar.gov where you can search a database for information on your own vehicle. Consumers can protect themselves from injury by checking vehicle safety ratings before purchasing a car. If you or a loved one has been injured an accident however, you can protect your rights by contacting an experienced car accident law firm. The car accident lawyers at Harbin & Burnett understand how devastating a car collision can be and are committed to helping you get every dollar you deserve in the minimum time possible. For more information on how we can help you with your claim, contact us at 1(888)821-0247. One of our intake staff members will connect you with one of our lawyers after collecting the details of your claim. If you would prefer to contact us online, fill out the Free Case Evaluation form at the top right hand corner of this page.